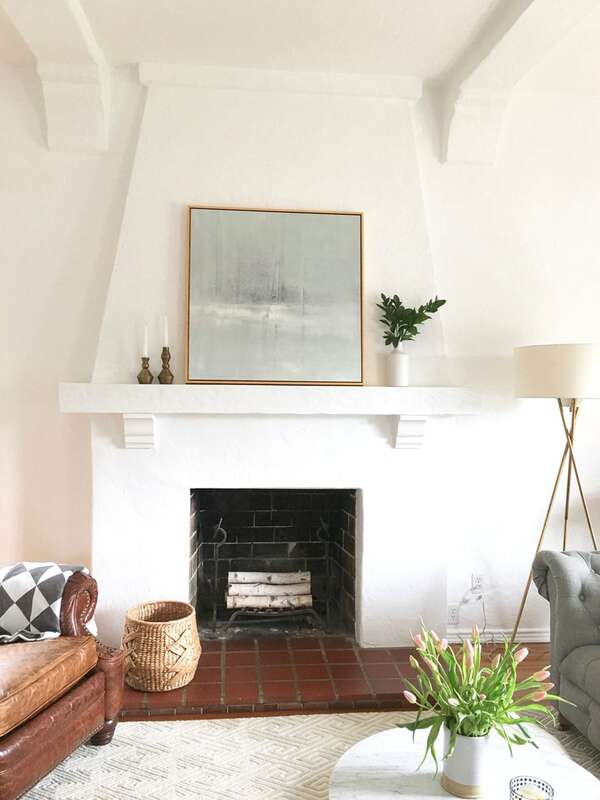 Today I’m sharing the home of my dear friend Stefanie, who lives with her husband and twin daughters in the most charming California Spanish Colonial right in the heart of Los Angeles. Stefanie and I met through MLT before I even relocated back to Connecticut. We’ve met up in NYC when she’s visited and then recently I got to visit with her in LA. She picked me up at the hotel where I was attending the Design Bloggers Conference. We started our morning at a charming café nearby, Clementine, and then she gave me a tour of a few neighborhoods where every house was my favorite! In parts of Los Angeles there’s an interesting combination of urban and suburban all in one place. You’ll have a street of darling bungalows that are just as they were in 1930, but right behind them is a shiny modern skyscraper. I thinks it’s kind of the best of both worlds. Stefanie is just minutes from the newly designed Westfield Century City Mall, UCLA, and Beverly Hills. I adored Stefanie’s home from the moment we drove up! It’s what I’ve always dreamed of having and I’m not ruling that out in the future. I’m calling it a California Spanish Colonial. I love how it’s perfectly maintained, but so much of the original home remains intact. 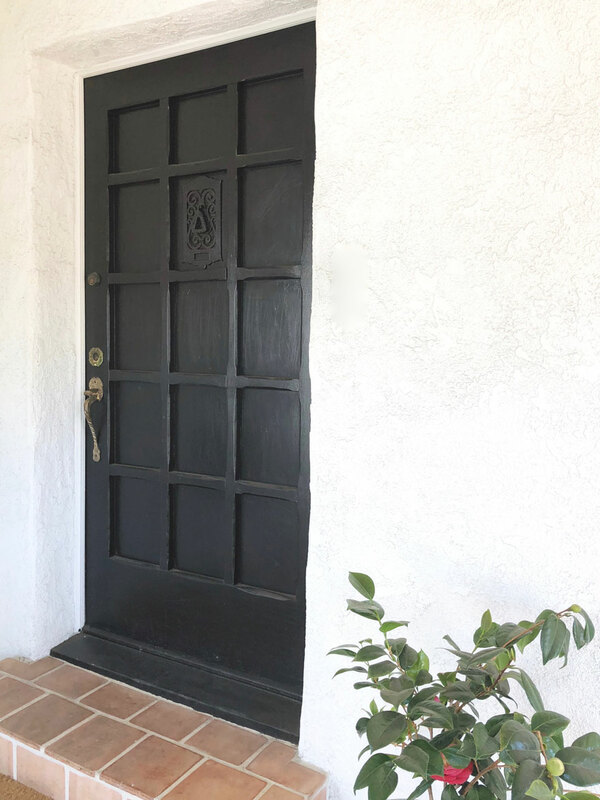 The front door, for example, is about 5 inches thick. I’ve never seen anything like it. 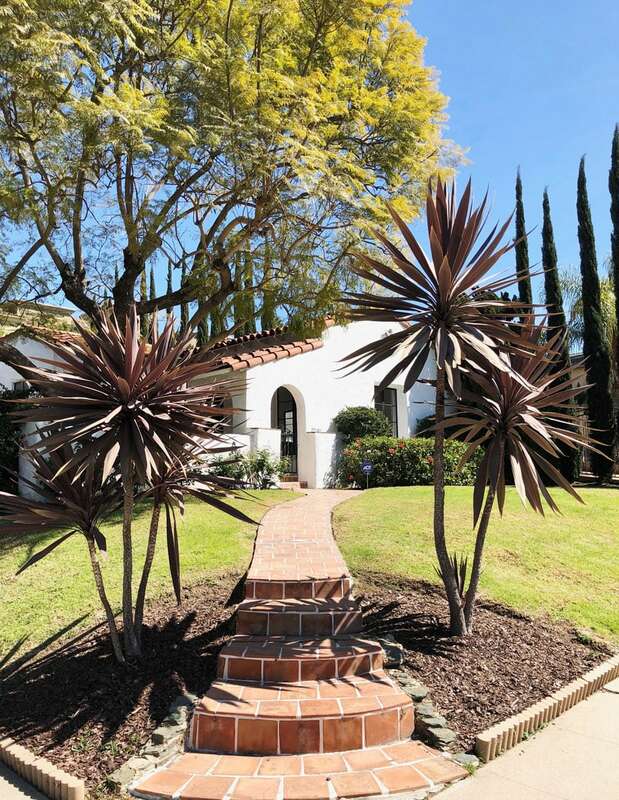 She has a charming porch and courtyard in front and I adore the Spanish tile walkway flanked by two palms. 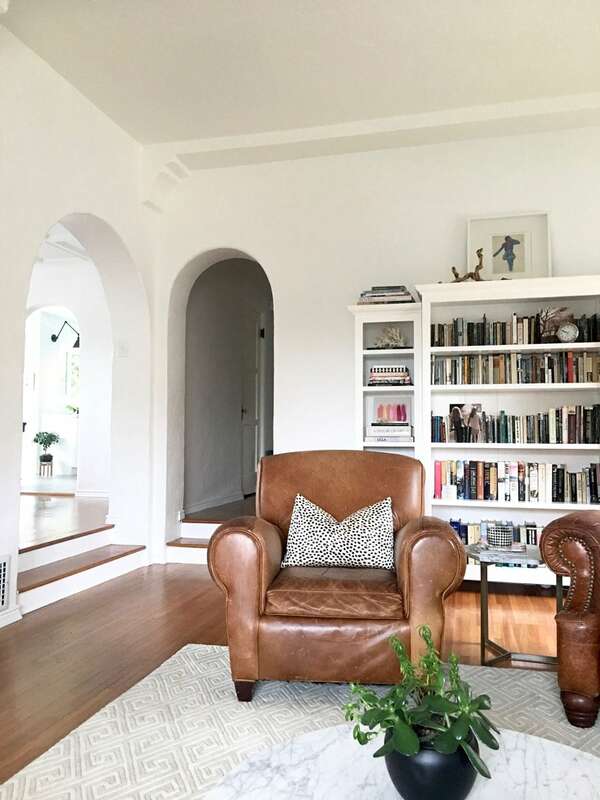 The home has very high ceilings and beautiful architectural details that include arched doorways and cutouts, beautiful windows, and stunning original sconces. 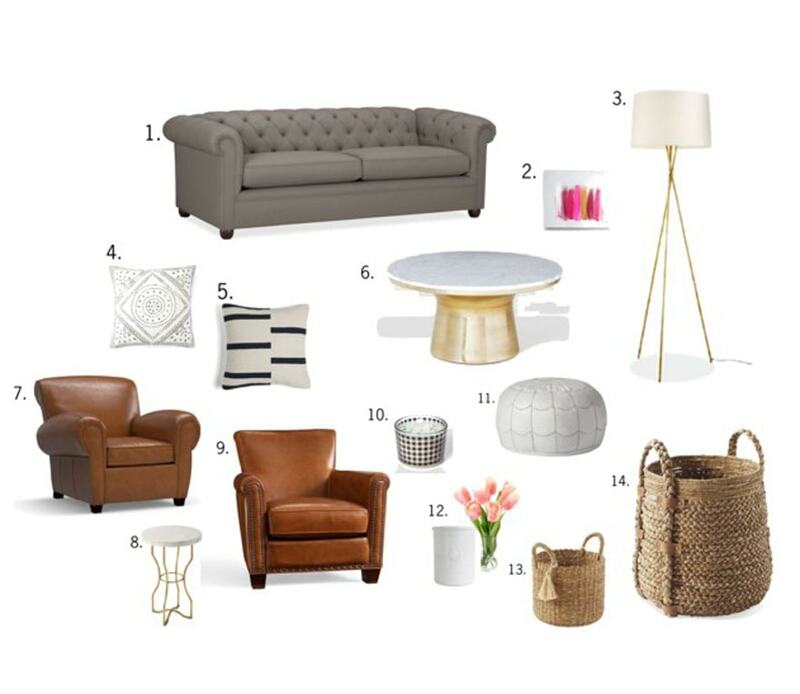 Of course I love how she mixes modern with traditional. 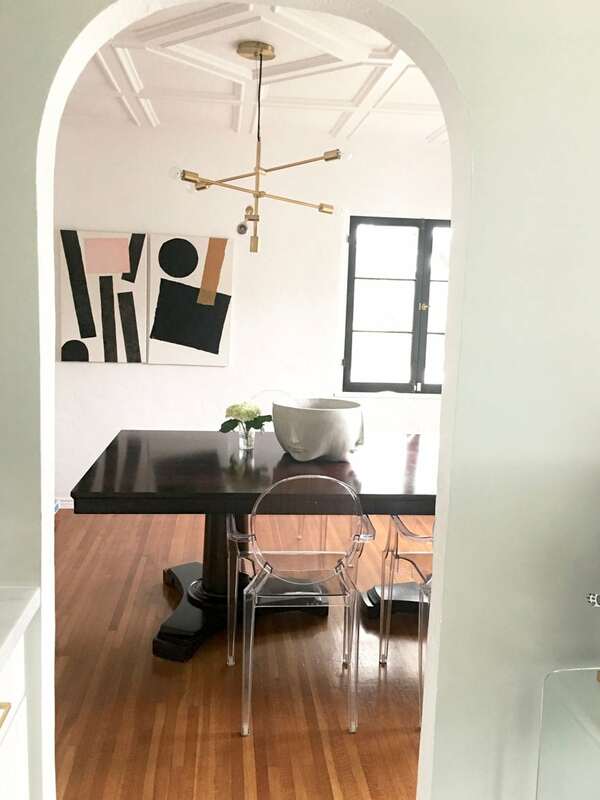 Another example of modern with traditional that makes it all look polished yet effortless – a pair of mismatched chairs: brilliant! They are similar in size, but just slightly different and that’s what makes it so interesting. I love the elegant muted painting on the mantel, a pair of geometric candlesticks, and a simple white vase with clippings from her yard. On the coffee table she has flowers from Trader Joe’s that she says she buys every Monday. The tulips look perfect in her Farmhouse Pottery crock from McGee & Co. Again, she mixes styles in the best possible way, this time a little rustic with a modern table. In the kitchen, they opened up the space so that the dining nook is part of the kitchen. I can’t imagine it any other way – That’s when you know it’s done well! 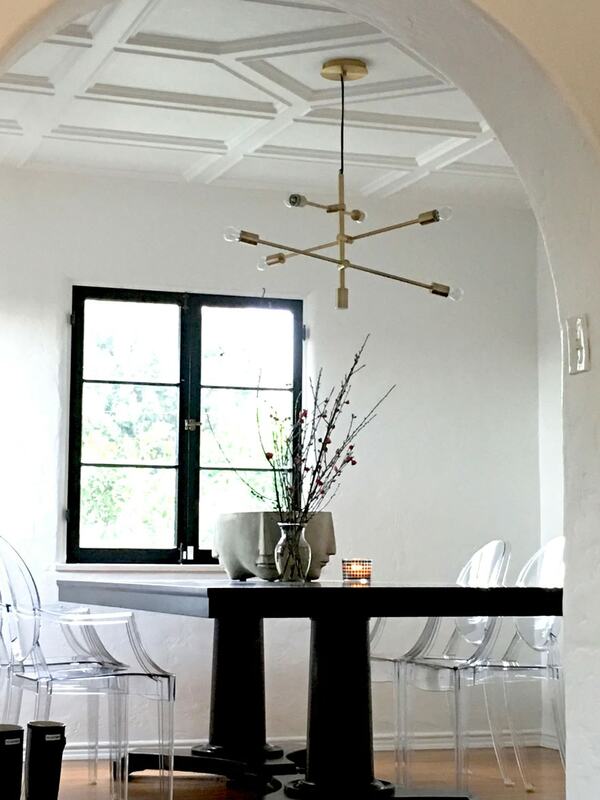 I love the original windows that have been painted black, and you know how much I love a Saarinen Dining Table. As I was leaving Stefanie’s home I noticed a lime tree in her yard. She grabbed three limes and a small branch with a fragrant blossom. I put the stem in water and it filled my hotel room with the lovely citrus scent and I brought my limes home. Stefanie said she uses them to make guacamole quite often. I’m hoping she’ll share her recipe and a few photos of her kitchen, which they recently renovated. 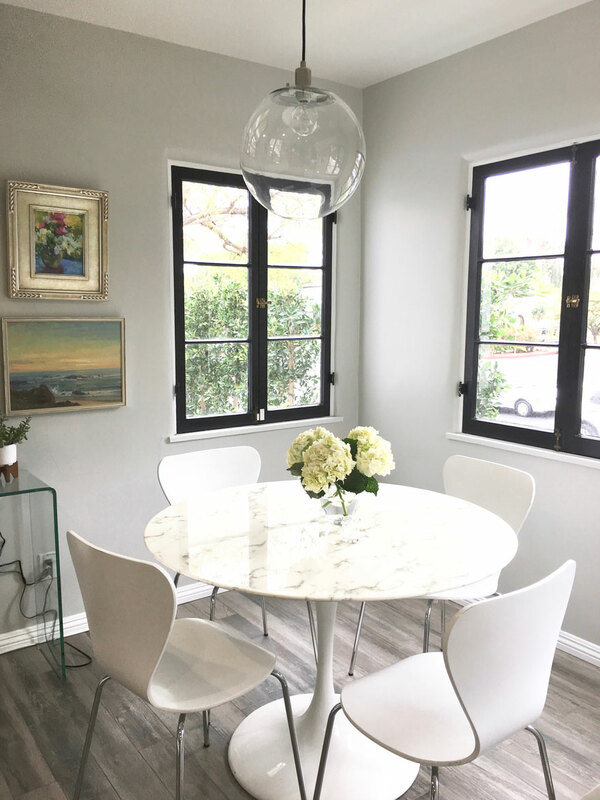 Thank you Stefanie for sharing your beautiful California home with us! 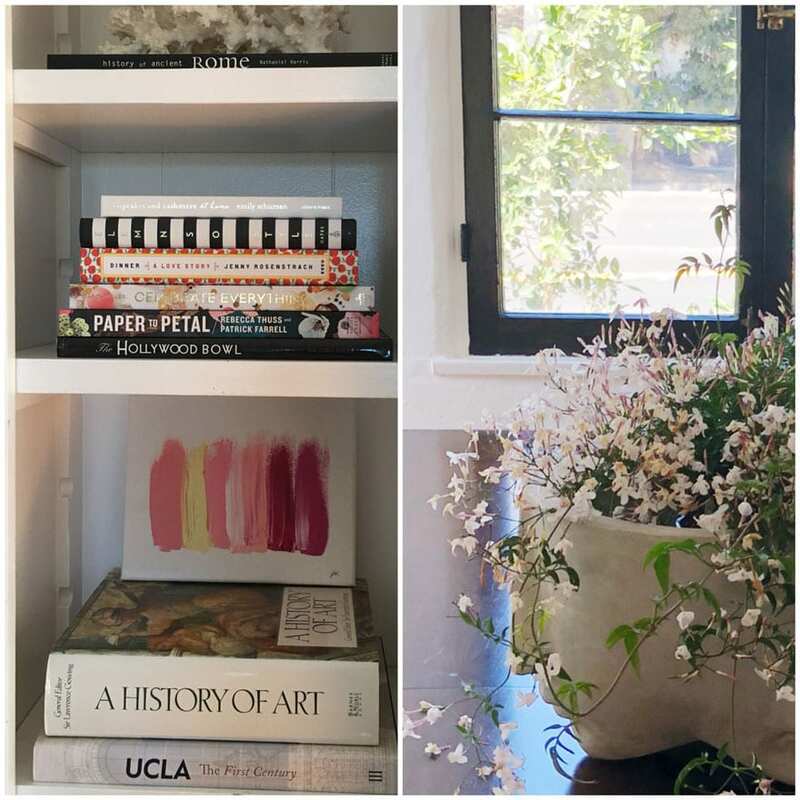 You may also like these LA posts: Alfred, a darling coffee shop in Beverly Hills or Gjusta in Venice. What a gorgeous home! So beautifully “not decorated”….know what I mean? Just looks so great but effortlessly. Well done, Stefanie! Karen! I do know exactly what you mean! I love all of this! 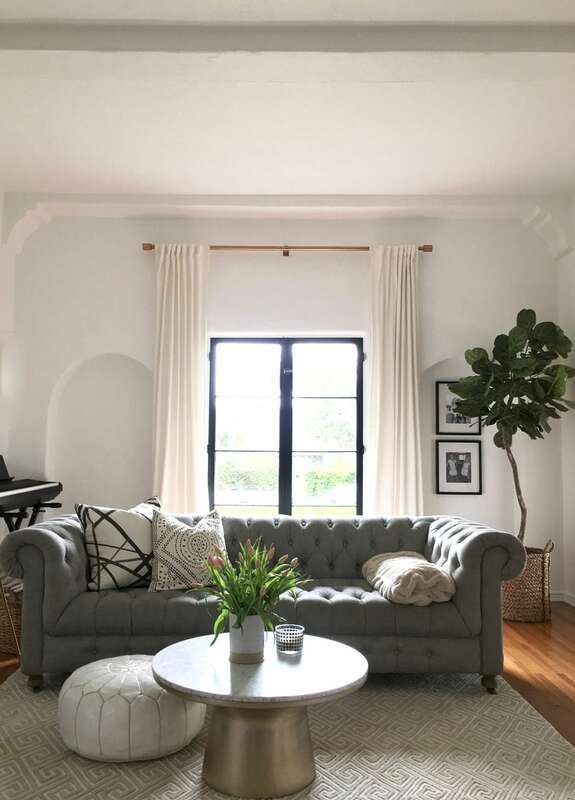 Such a great eye for details for her to have created such a beautiful space and home! I agree! She has a great eye! This is such a pretty style of home. I love it. My business partner stays in Los Angeles and always speak about this place whenever we meetup. Realized why he was so impressed with this place. Great natural location. You should be lucky to stay at this part of world. Interiors looks amazing with white theme. Best wishes.